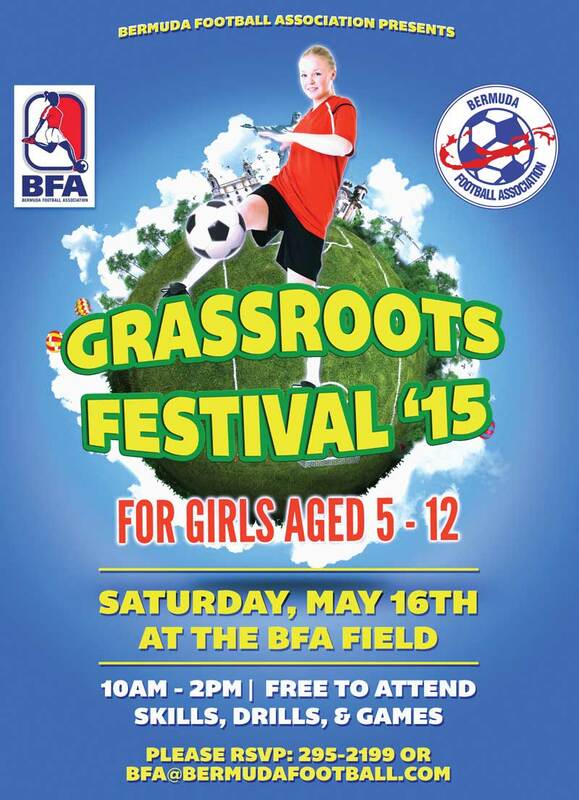 The Bermuda Football Association [BFA] will be hosting a FIFA Grassroots Festival for girls this Saturday [May 16] at the BFA Field, from 10am – 2pm. There is no charge to take part. Girls age 5 – 12 are welcome to participate, and the festival will host a series of fun skill challenges, drills, and small-sided games. The participants from this week’s Women’s Coaching Course will be on hand at the Grassroots Festival to help lead the day’s activities. Those interested in participating are encouraged to call 295-2199, or email bfa@bermudafootball.com, to RSVP.